A new poll shows former White House chief of staff Rahm Emanuel with an overwhelming lead in the Chicago mayoral primary. 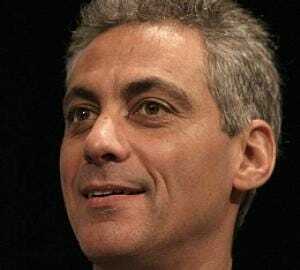 According to the local ABC News affiliate, Mr. Emanuel has the support of 54% of Chicago primary voters. That’s important because if he gets a majority of the vote in the February 22 primary, he will win outright and avoid an expensive run-off election. If Mr. Emanuel fails to get a majority of the primary vote, he will face-off against the second-place finisher in the “general” election.